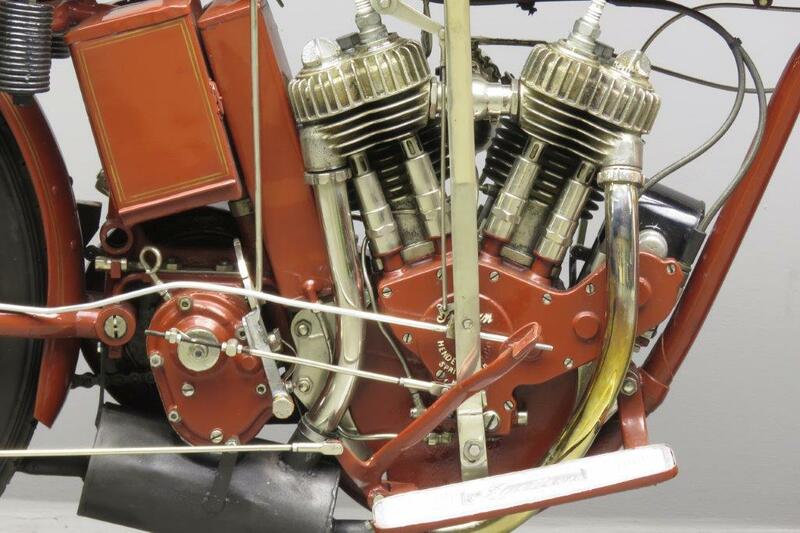 The Indian PowerPlus engine was a design of Charles Gustafson, who had already earned fame as an engine designer at the Reading Standard company before he was approached by the Indian management. His task was to design a powerful, robust, reliable and production friendly engine to replace the old F-head V-twin design of Oscar Hedstrom. 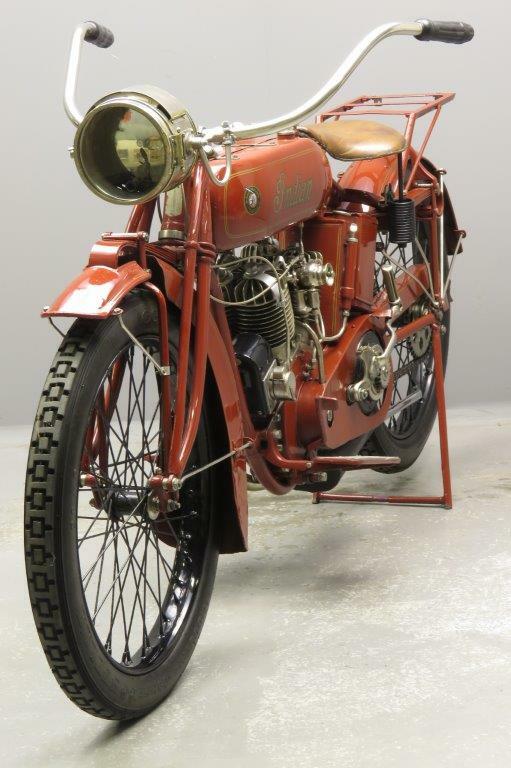 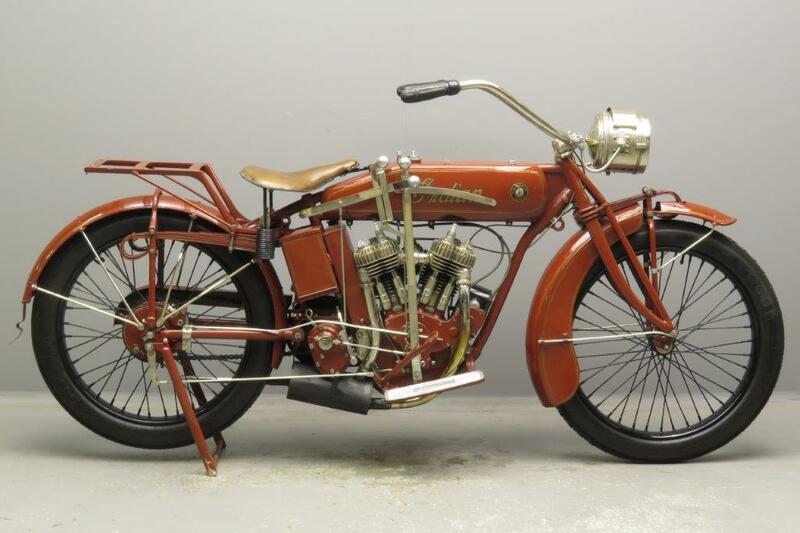 The resulting 61” side valve PowerPlus introduced in 1916 was an immediate success: it turned out to be very robust and reliable and had a healthy power output that reached 18 HP in its final versions. 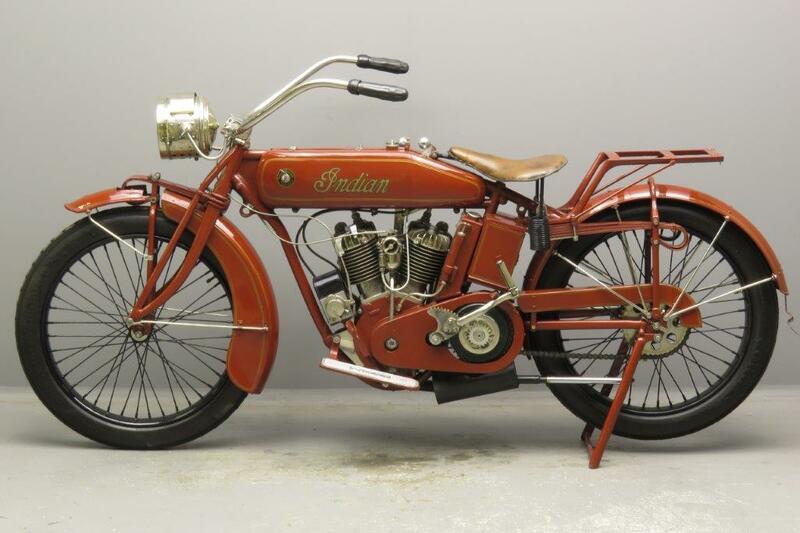 “So basically sound was last year’s highly developed Big Twin that very few changes or refinements were evolved by the Indian’s expert engineers after a year’s constant research and laboratory experiments” , the 1918 catalogue boasted. 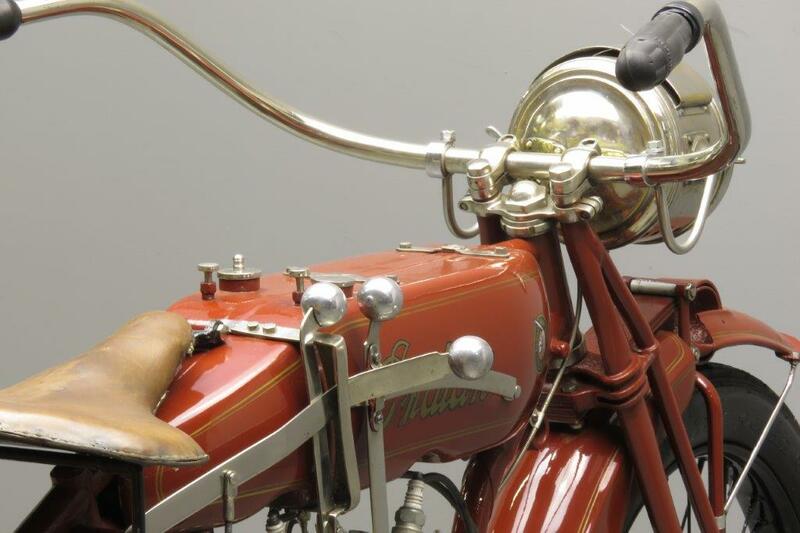 Some notable changes were the adoption of wire controls to replace the somewhat complex array of rods, bell cranks and universal joints and the new style of handlebars “curving gracefully downward at a short distance from the handgrips. 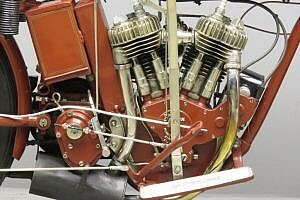 A third visible change was the new type of valve lifter control. 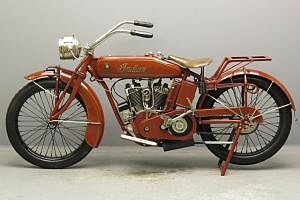 The 1917 model lifted the valves by means of the right handlebar grip, from 1918 it’s effected by a short lever behind the gearshift quadrant. 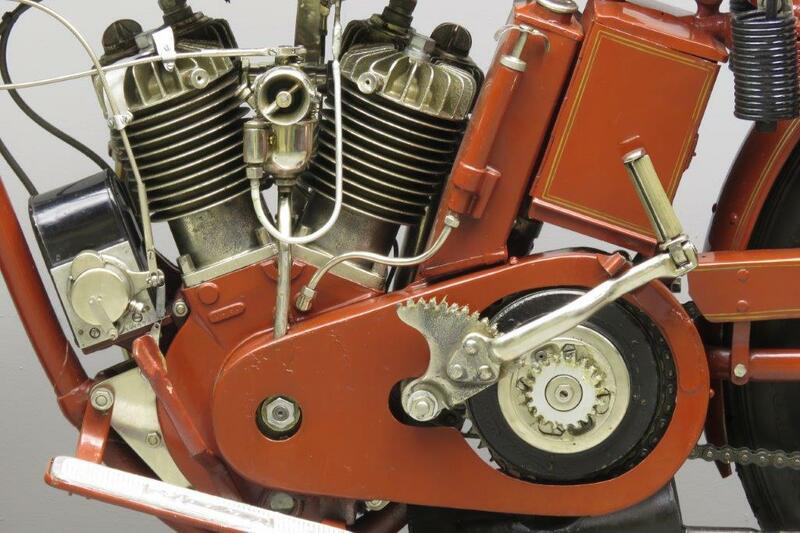 We find three knobs there now: clutch lever, gearshift and valve lifter. The PowerPlus is still one of the most coveted American vintage motorcycles. 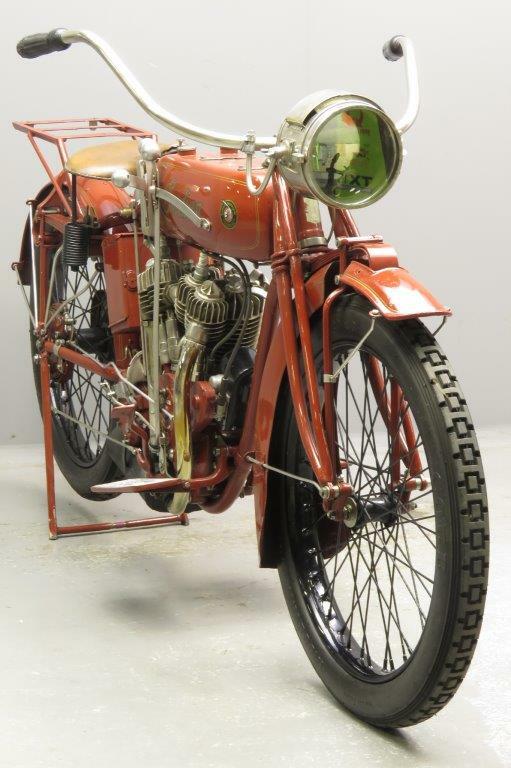 This older restoration PP spent part of its life in Italy and is a good runner.